Denise M. Bierly, Esq., and Sue Orban discussed average adoption costs for domestic, foster, and international adoption, and funding strategies. View the webinar replay now. Adoption costs can range from $0 to more than $50,000. What are the expenses associated with each route—domestic newborn, foster adoption, and international—and how are families financing their adoptions? In this webinar, we presented the results of the 2013-2014 Adoption Cost & Timing Survey, and Denise M. Bierly, Esq., Director of Adoption of the American Academy of Adoption Attorneys, and Sue Orban, of Lutheran Social Service/Children’s Home Society of Minnesota, discussed which expense categories families have control over, strategies for meeting the total costs of adoption, how to claim the adoption tax credit, adoption loans and grants, and more. 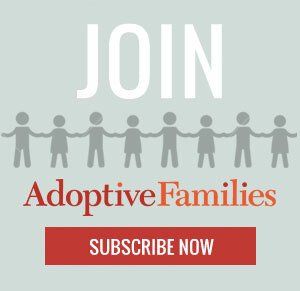 Adoptive Families’ Expert Webinar: Adoption Costs—What to Expect and How to Meet Them took place on Thursday, September 24, 2015, 1-2pm ET. Denise M. Bierly, Esq., Director of Adoption for the American Academy of Adoption Attorneys, is also a recent Past-President of the Academy, and has been a Fellow since 1997. She was a member of the Commonwealth of Pennsylvania Joint State Government Commission, tasked with the reform of Pennsylvania adoption laws, and she remains active in both State and Federal Adoption Laws, and practices law at Bierly & Rabuck in State College, Pennsylvania. In 2014, Bierly was designated an “Angel in Adoption.” She is a parent by both birth and adoption. Sue Orban, Outreach and Education Coordinator for Lutheran Social Service/Children’s Home Society of Minnesota, has worked in the adoption field for 25 years. She helps families understand the adoption process, travels with them to adopt, and prepares them for parenting, and has developed and/or managed programs in Eastern Europe, Asia, and Latin America. In 2013, Orban received the 2013 “Lifetime Achievement Award” from Joint Council on International Children’s Services. She is a parent by both birth and adoption. America’s Christian Credit Union offers low-cost adoption financing. ACCU believes that every child deserves a forever family, and is here to help. Adopting from Foster Care, with Denise M. Bierly, Esq., and Bobbie L. Rabuck, Esq.